Clear…clear…super irritated…even more irritated…now add breakout…kind of clear a week later…oops, another breakout…insanely irritated…clear (kind of)…and repeat at random. Sound familiar? If your skin is stuck in a cycle that’s completely unpredictable, you’re not alone. Many teens have skin that’s both sensitive *and* acne-prone. It’s a confusing combo that’s tough to treat because many acne products can be harsh and irritating—which basically just makes redness (and everything else) even worse. 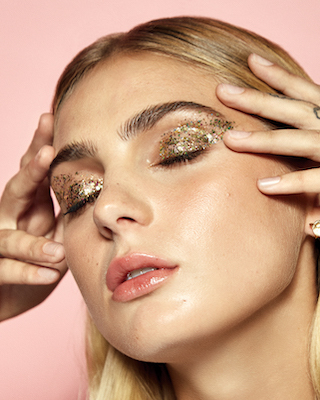 So while *some* bad breakouts might need a full battle plan, the most effective strategy for a healthy complexion is actually preventing problems before they start—not just attacking pimples when they pop up. 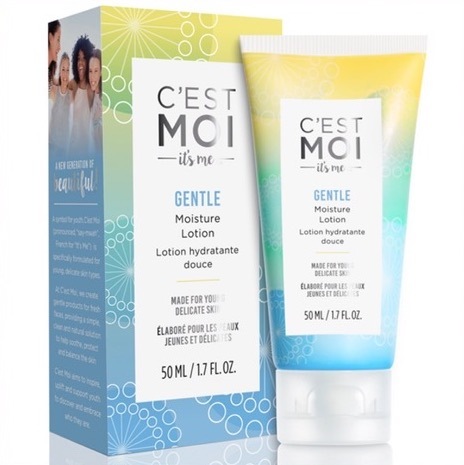 Below, we’re sharing secrets straight from the experts at C’est Moi—a new beauty brand for teens that specializes in sensitive skin. The best part? Everything is tested by dermatologists and contains natural, organic ingredients—so you can *always* feel good about what’s going on your bod. 1. Know that skincare is self-care. We’ve been talking a *lot* about self-care lately—but even if you’re a beginner to the buzzword, it’s easy to integrate the concept into your routine (and just life in general). Self-care is the act of engaging in activities that bolster bliss and force our intentions inward; it’s anything that strengthens our emotional, mental and physical wellness. One of the easiest and most accessible forms of self-care is through beauty rituals—like your skincare routine. Think about it: Those 3, 5 or 15 minutes you spend in your bathroom each morning before school are yours. After you walk down to the breakfast table or snag a seat in homeroom, you may have no control over what comes your way throughout the day. But, chances are, you’re going to spend a couple minutes in the bathroom getting ready every A.M.—and if you’re intentional with that small amount of time, you can sneak in some self-care (without actually adding anything to your already-hectic schedule). So as you pat your way through your skincare routine, try repeating a positive mantra, expressing appreciation for your body or visualizing what you want your day to bring. You’ll be doing your face—and your focus—a favor. 2. Pick your products, then practice patience. 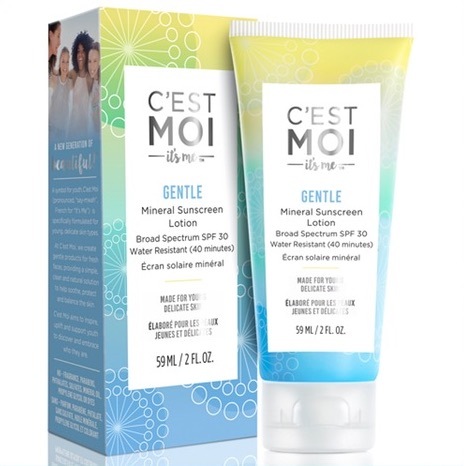 Scroll down to the bottom of this post to check out two routines suggested by the experts at C’est Moi—one for morning, one for night. Once you’ve put together the regimen you think will work best for your skin (and your schedule), stick with it consistently for a minimum of two to four weeks before you expect to see results. If this sounds like a long time, we get it: When you’ve got a breakout or an inflamed face, even just two days (not to mention two weeks!) might feel like forever—but part of caring for our complexion includes respecting the natural healing process. We used the “e” word three times because it’s *that* important. Here’s the thing: You could be doing everything else right when it comes to your routine, but if you’re not exfoliating regularly, your helpful products won’t penetrate and toxins will get trapped inside. Exfoliating correctly (aka gently) will clear away the dry, dead skin that keeps moisture out—and oil, dirt and pollutants in. Aim to exfoliate two to three times weekly, depending on your skin, and follow with moisturizer. 5. *Never* skip a skincare sesh. Your skin needs TLC every morning and night—and sometimes in between, too. Once you find a routine that works—which might mean using 3 products a day or 10 products a day, depending on your skin and your preferences—it’s important to stick to it and establish healthy habits. If you’re secretly thinking, “But I never wash my face, and it’s clear now so I don’t want to mess it up,” we hear you, but consider this: Your face might seem fine, but allowing pollution and environmental toxins to sit on your skin all night can lead to major damage down the road. (Also, gross.) Even if you do *nothing* else, everyone should be wearing a daily SPF and cleansing before bed. Trust! Wake up with a refreshing, foamy cleanser that contains organic aloe, calendula and extracts of strawberry, kiwi and apple to condition and nourish your complexion. It’s fragrance-free (so important!) and won’t disrupt skin’s delicate moisture balance. Tip: Once you lather up, gently buff with a warm, wet washcloth to wipe away dead skin. Rinse well! Use daily to prevent sun damage and skin cancer—and we mean daily. Yep, even when it’s raining…or cloudy…or you’re planning on being inside all day…SPF is *always* an essential. Made with ingredients like zinc oxide and organic aloe, it both protects and nourishes. Need something for more sensitive skin? 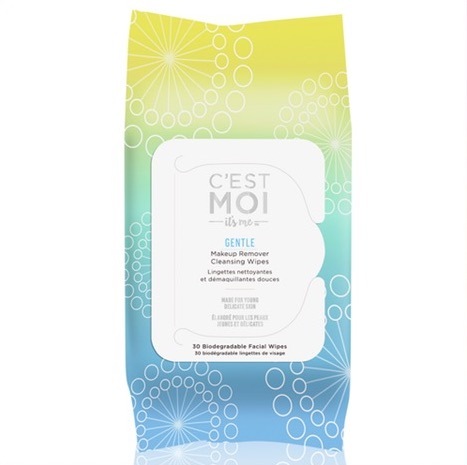 Use the Gentle Makeup Remover Cleansing Wipes instead—more details below. Remove makeup in a single swipe—and freshen face with aloe, green tea and cucumber extract. 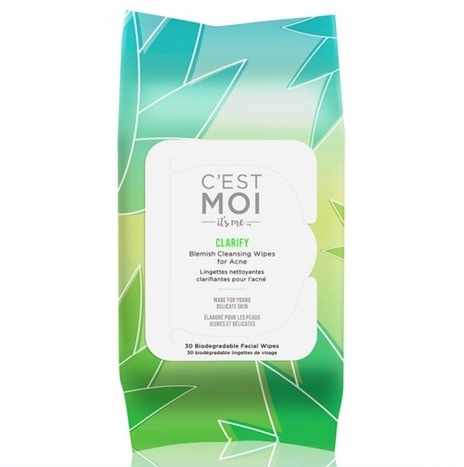 These fragrance-free, pre-moistened wipes are an essential step in your routine—and, best of, they’re biodegradable (meaning they’re just as kind to the environment as they are to your skin). Oh, and one more thing: Let’s say you’ve been up all night studying, you’re absolutely exhausted and you just can’t handle a single second in front of the sink. In S.O.S. scenarios, grab those wipes and just cleanse your face, neck and chest before you fall into bed—you’ll feel so much better in the morning. Remember 60 seconds ago when we talked about the importance of exfoliation? Two to three times per week, this gentle formula (a blend of rice powder, corn meal, licorice extract, salicylic acid and lactic acid) will clear congestion and leave smooth skin in its place. 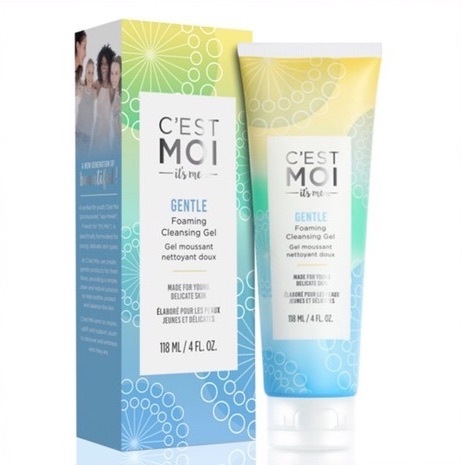 On off days when you’re not using the scrub, switch back to the Gentle Foaming Cleansing Gel. Grab your cell—because this mask makes for the ultimate self-care selfie. Made with nutrient-rich activated charcoal clay, salicylic acid, apple, olive and ginger extracts, it gently exfoliates to minimize the appearance of pores and make skin more supple. Once or twice per week, apply it to clean, damp skin and then remove with a warm wash cloth after 10 minutes. 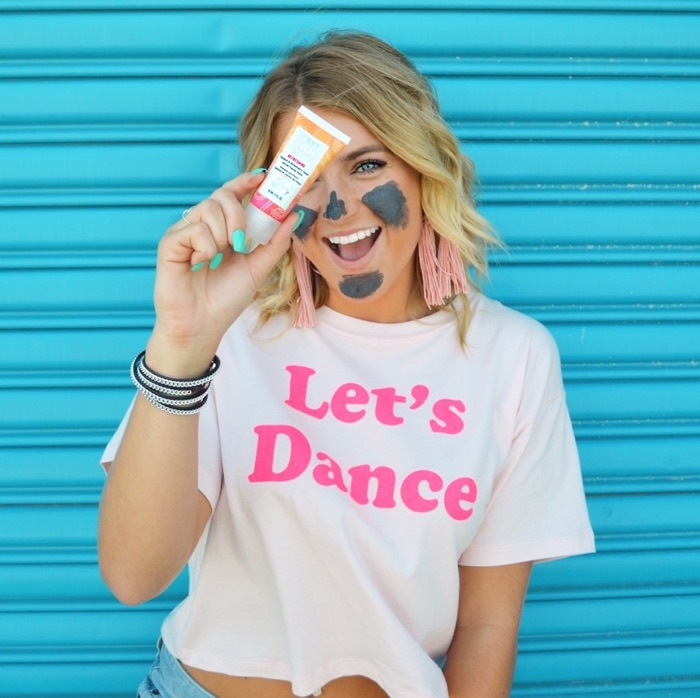 (You can apply to your entire face, or just certain spots like forehead, nose and chin.) Fun fact: It can also be used as a spot treatment! Treat and prevent any #acneproblems with specially formulated pads featuring salicylic acid, lactic acid and aloe vera—meaning they're tough but still gentle. Use them 3 to 4 times per week if you have mild to moderate acne, or increase to 4 to 7 times if flare-ups are more severe. Got blackheads? These target those, too.